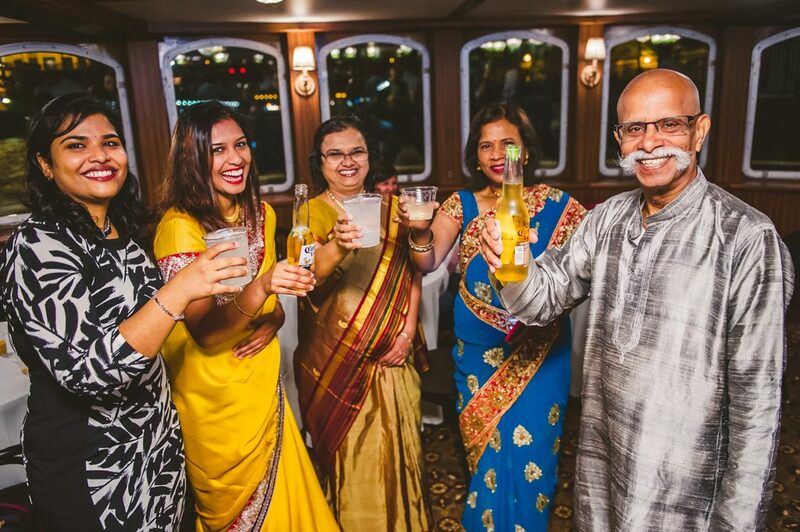 At Lake Shore Photography and Video, our Chicago Indian Wedding Photographer has over 20 years of experience shooting all types of Indian weddings, from traditional Hindu Weddings to Sikh Weddings to fusion ceremonies that celebrate and blend two cultures. Each ceremony we attend serves a different purpose. We’re honored to be able to be a part of such a vibrant culture. Only a Chicago Indian Wedding Photographer with a deep understanding of the Indian culture could capture the traditional events respectfully. WHY SHOULD I HIRE A PROFESSIONAL INDIAN WEDDING PHOTOGRAPHER IN CHICAGO? Lake Shore Photography and Video is a leading Indian wedding photographer across the country and even around the world. In today’s day and age, it’s quite common for couples to pay for their own weddings. Whether or not this is your situation, it’s always important to try and save money. Thanks to sites like Pinterest, there are tons of different ways to save money, like making your own place cards. Don’t get us wrong, saving money is great and definitely essential for your future. Since smartphones have cameras more incredible than ever before, you might be considering not hiring a professional for your wedding. 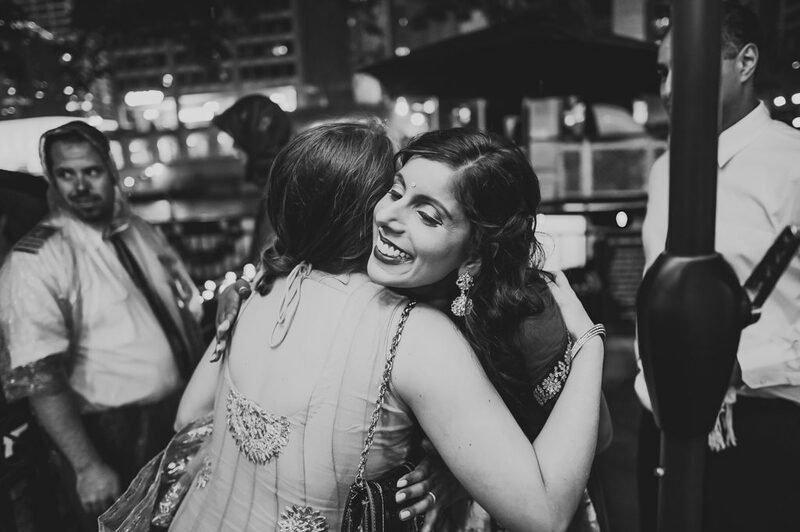 But, when it comes to capturing the intimate moments of your big day, think again before asking an amateur relative or friend with a high-end camera to be your Chicago Indian wedding photographer. After all, you only have one shot to get it right. 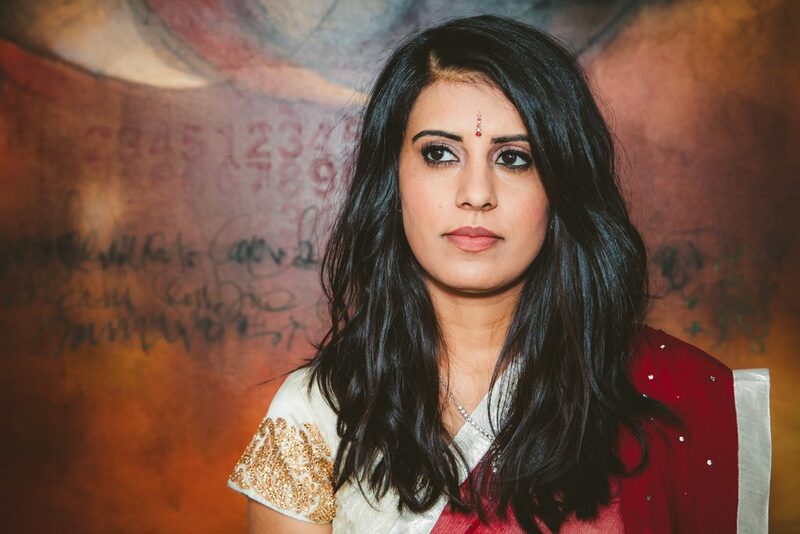 So, be sure to hire a Chicago Indian wedding photographer to capture your wedding day. There are many reasons to hire a professional for your Indian wedding photography. First of all, there’s a lot more to photography than owning a fancy camera. Almost anyone can take pictures. But, great photography is much more than clicking the shutter-release button and snapping a pic. A true professional Chicago Indian Wedding Photographer will have years of experience shooting weddings. They will have studied how to use their equipment, being able to work with all sorts of lighting and environments. Even more, there’s nothing more uncomfortable than having everyone standing around aimlessly at your wedding not knowing what to do. Hiring someone with the experience that our Chicago Indian wedding photographer has will definitely lower your stress. They know how to inspire poses and have experience directing large groups of people. 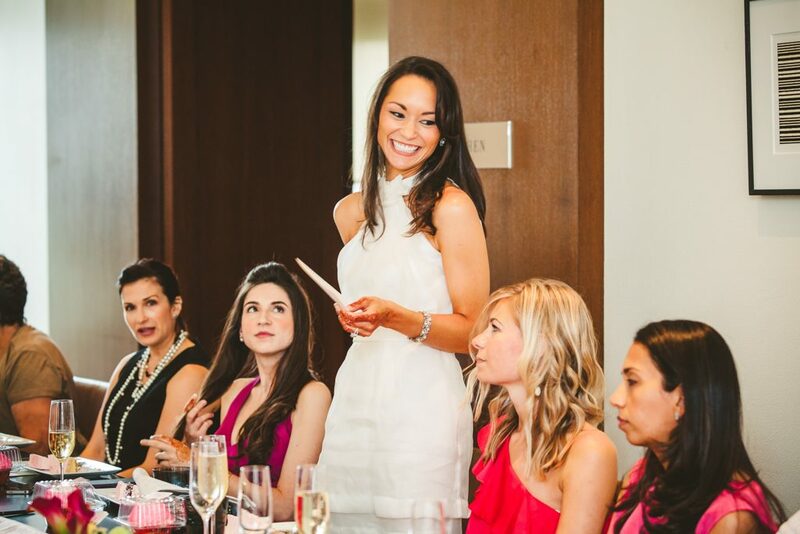 Only a professional can make you and your guests feel comfortable in front of the camera. These moments a part of your wedding day and should be fun and carefree. Also, feeling at ease will definitely show in your photos. 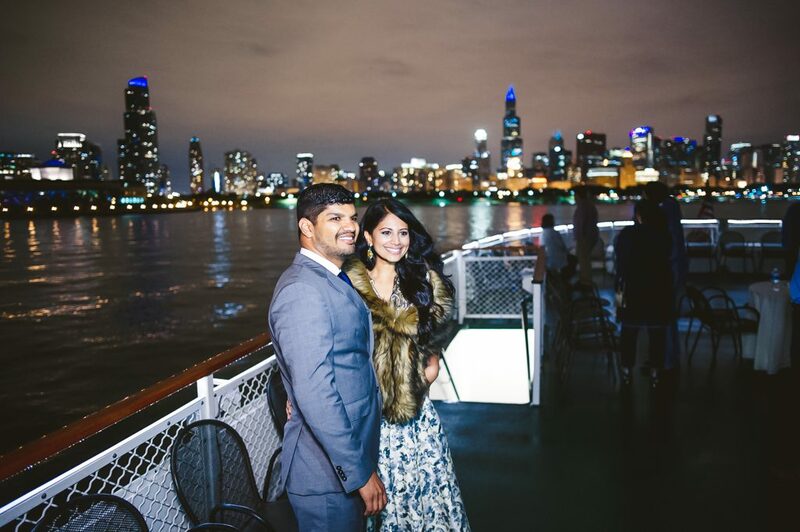 Our Chicago Indian wedding photographer has tons of experience making clients feel comfortable and stress-free. Another reason to not hire an amateur is that most likely, it will be someone close to you. This is a problem because you probably want your friends or family to attend your wedding and have fun, rather than feel like they’re working at it. Also, we’ve seen many times where relationships become strained because either the bride wasn’t happy with the results or was stressed out on her wedding day and took it out on the photographer, who happened to be her friend. Regardless, it’s important to really consider these possibilities before pulling the plug on hiring a professional. 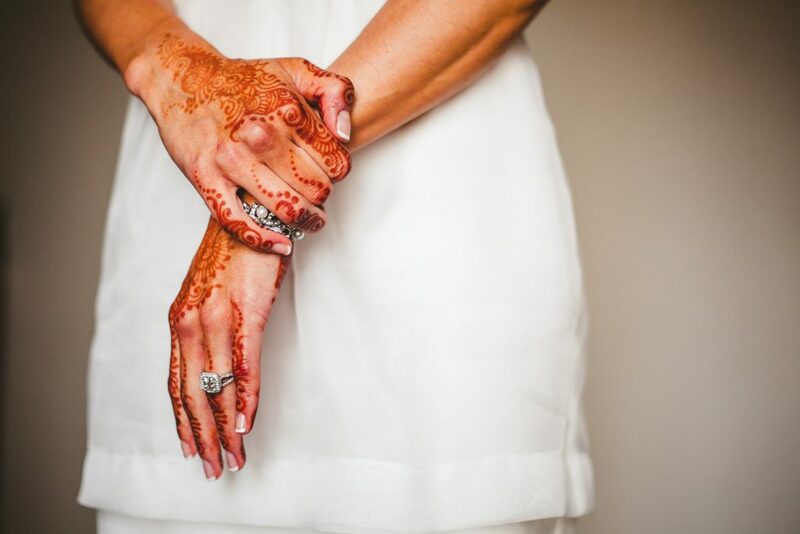 Additionally, a Chicago Indian wedding photographer is truly dedicated to you and your big day. We are obligated to show up on your big day, and our number one priority is you. If you hire someone to shoot your wedding photos who isn’t entirely in the photography field, then they won’t be as committed to the job. But with a professional, you can feel confident knowing your photographer will capture images from our big day that you’ll be truly proud of. After all, the chances are that if they’re in the photography field, they truly love what they do. This means that they’ll really love shooting your wedding. 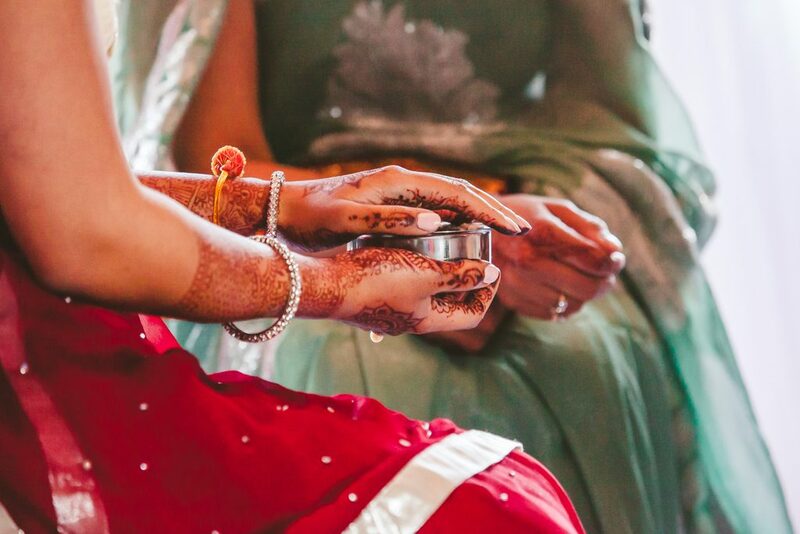 WHICH TRADITIONS DOES OUR INDIAN WEDDING PHOTOGRAPHER IN CHICAGO CAPTURE? One of the main reasons we’re so passionate about weddings is that they’re full of traditions and rituals. It’s these cultural elements that often make these ceremonies so meaningful. This is because these customs are often passed down through generations, connecting people to their ancestors. It’s also what makes each ceremony so different! 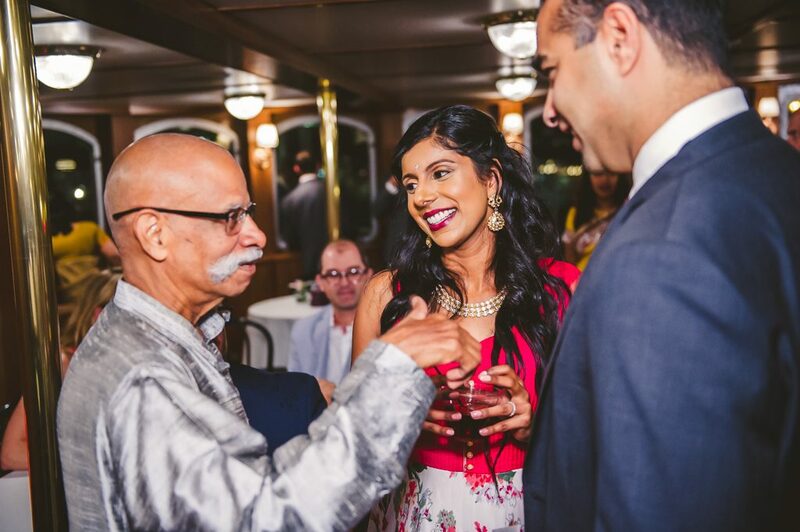 One of our Chicago Indian Wedding Photographer’s favorite parts about Indian Weddings is the Baraat procession. In Hindu and Sikh ceremonies, it’s custom for the Groom is to be led to the venue in a procession known as the Baraat. 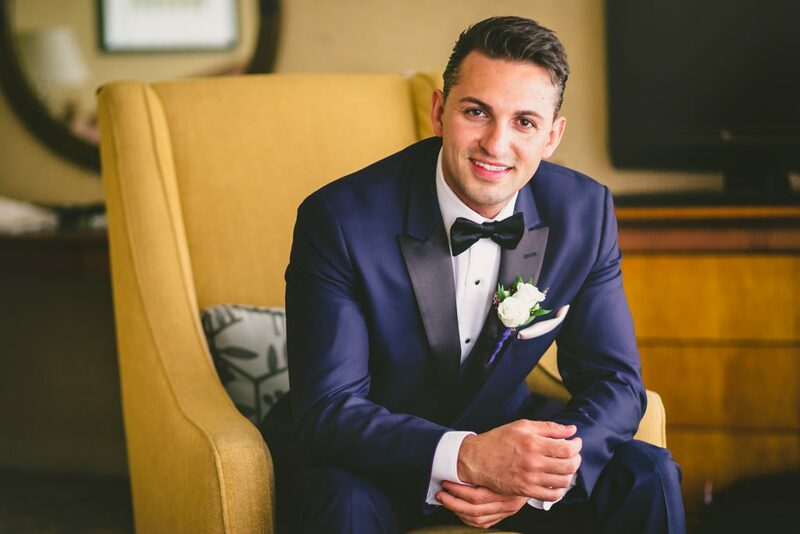 He’s often accompanied by family members, groomsmen or friends, known as the baraatis. When the Baraat arrives at the wedding, a ceremony known as the milni(meaning meeting) takes place, in which the elders of both the groom and bride’s sides of the family meet. This symbolizes the merging and unification of the two families. Whether the groom rides through the procession on a horse, an elephant or in a car, we will be there to capture every gorgeous detail, emotions, and culture. It’s truly magical to watch as the bride welcomes the groom and his family to the marriage site. 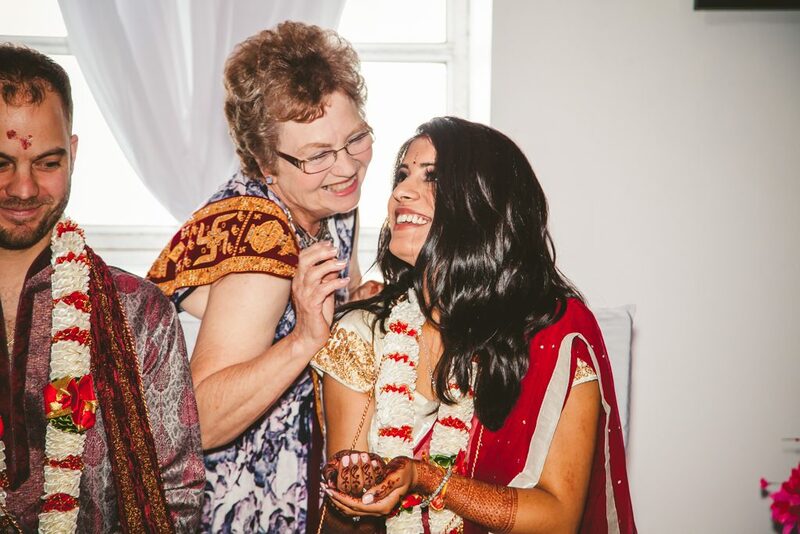 Another tradition our Chicago Indian Wedding Photographer loves to shoot is the tying of the Mangalsutra. In Hindu weddings, the groom ties a black and gold necklace with a gold or diamond pendant around the bride’s neck during the rituals. It symbolizes chastity, love and protection. The bride wears this necklace until the death of her spouse. This intimate moment represents the groom’s devotion to his bride and her new reputation as a married woman. Weddings are such intimate moments, and these sacred customs are just one of the many reasons we’re so passionate about documenting your big day. 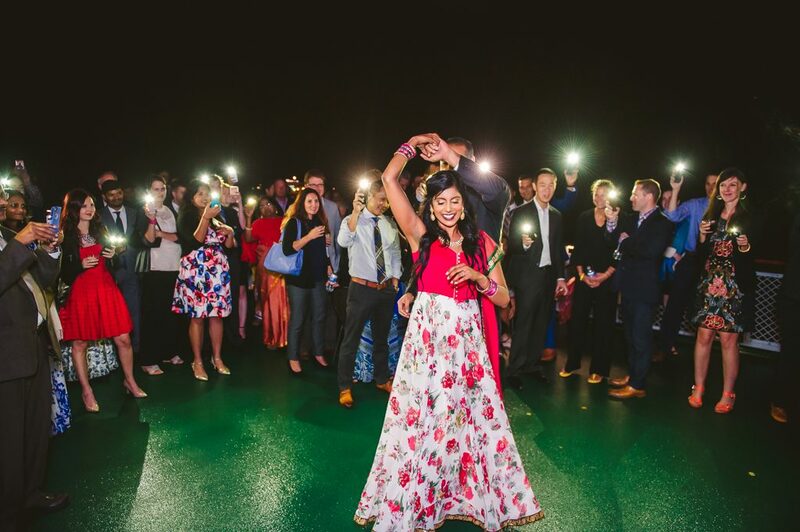 Our Chicago Indian Wedding Photographer finds the ritual of Panigrahana absolutely f. Following the Kanyadaan, the groom takes his bride by the right hand. 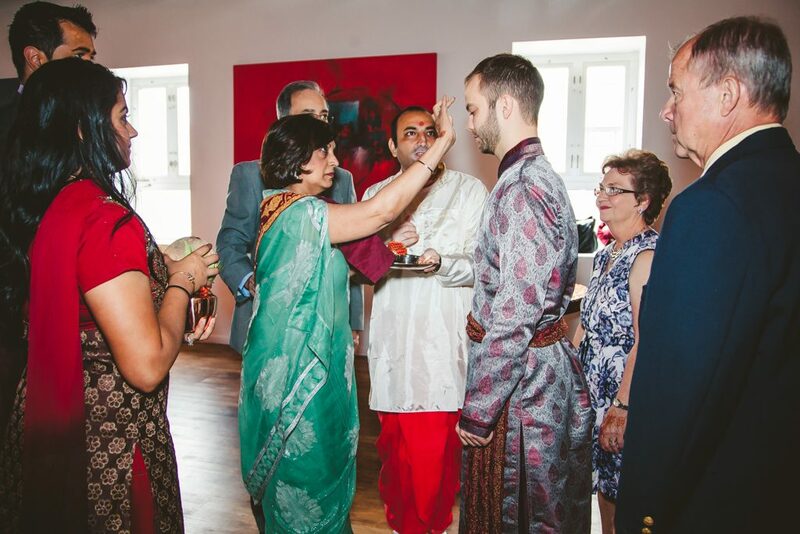 During this ritual, the groom lights a fire to mark the start of the couple’s new household. This is to represent the bride and groom’s impending union. 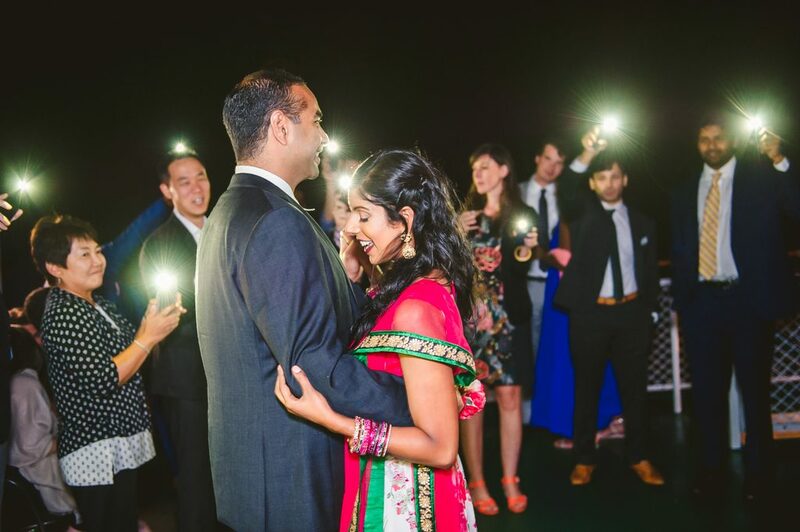 It is such an inspiring and enchanted moment to watch and be apart of and our Chicago Indian Wedding Photographer loves to capture every second. As experts in Indian Wedding Photography, we make sure to capture every breathtaking moment, making the couple and their families overwhelmingly satisfied with the final photos, the wedding albums, and Lake Shore Photography and Video experience. Although Indian Weddings are full of spiritual and religious customs and traditions, they’re also filled with emotions and authentic moments. 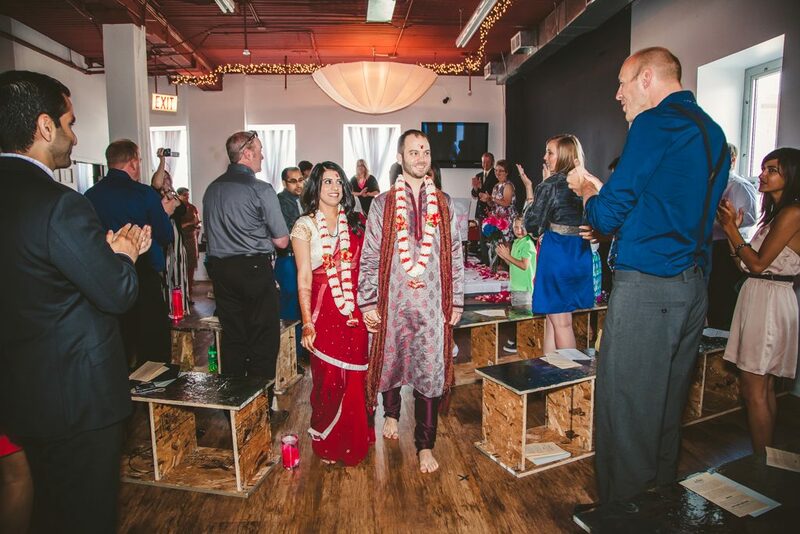 As a premiere Indian Wedding Photographer in Chicago, we have had years of experience and know just when to anticipate those crucial moments during your Indian Wedding Ceremony. For instance, we know that after the couple walks around the fire, there’s usually a great chance that we’ll capture some lovely smiles and giggles as they race to sit down first. 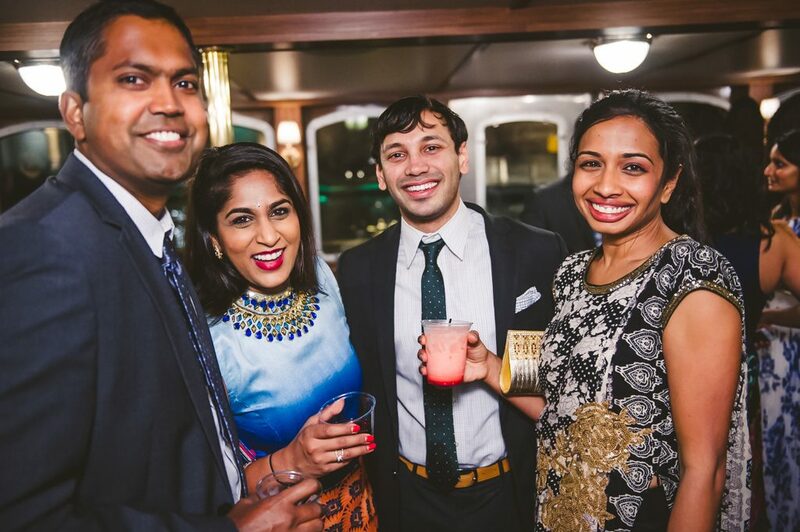 We can assure you that Our Chicago Indian Wedding Photographer will present you with pictures that you’ll love. If you’re looking for a Chicago Indian wedding photographer to capture authentic emotions, timeless traditions and all of the heartfelt moments of your wedding, then contact us today at 847-687-2336 for a free quote or Contact Us Here and we’ll be more than happy to help!